Happy Independence Day! 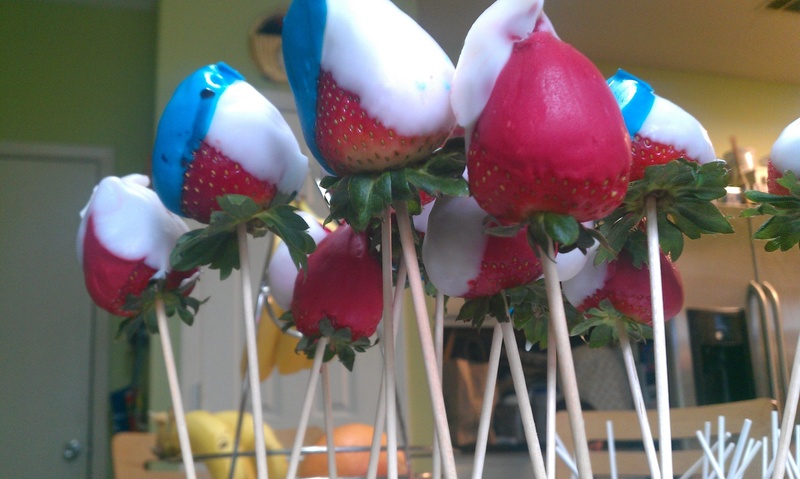 I had some left over chocolate cake and tons of strawberries, so I decided to make some cake pops! My fave! I had a small (1in.) 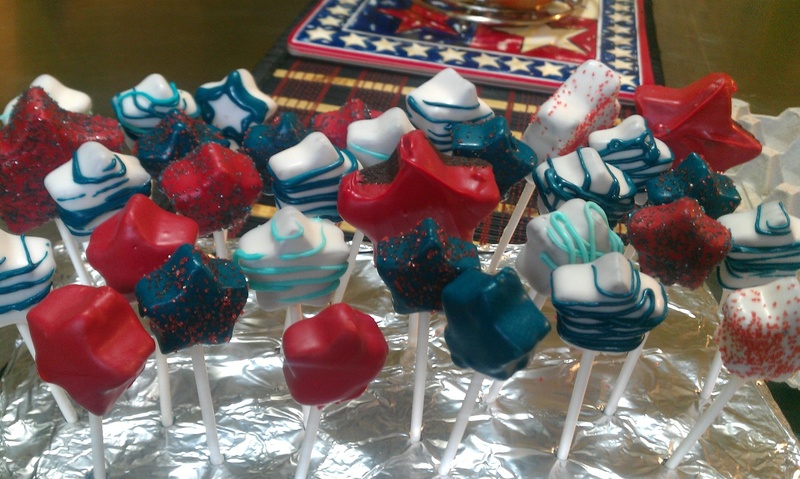 cookie cutter and molded the chocolate cake (with cream cheese frosting) into stars, dipped them in candy melts. I ran out of royal blue >_< so I used some blue candy color to tint the white, and for some reason..it turned turquoise? ha! Oh well, still festive! Dipped the Strawberries in the same chocolate bark and Wa-la! 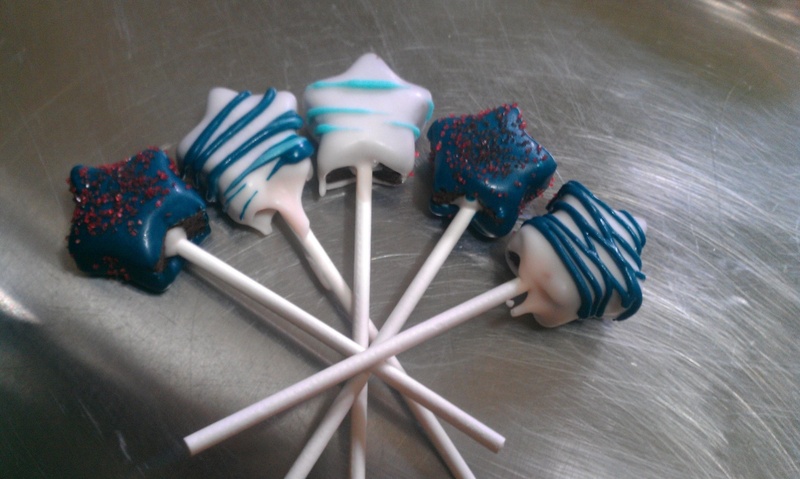 You can go to Bakerella’s website for cake pop instructions. Happy 4th!